Here at The Mighty 790, we love to celebrate milestones. After all, we’ve been around the area for 90 years and counting! 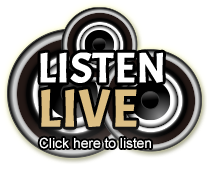 Check out the details below of our friends at the Yellowstone County Museum, on their 65th Anniversary, and keep your ears open on the airwaves for more about the event! The Yellowstone County Museum (YCM) is celebrating 65 years of preserving, protecting and interpreting the natural history and diverse cultures of the Yellowstone Valley and the Northern Plains. The open house takes place Saturday, April 20th from 1:00 to 5:00 pm. Admission is free. Billings Airport short term parking tickets will be stamped at the museum for free parking. The museum includes the McCormick Cabin, originally home to a pioneer family in Billings. It was transported to its present location in 1954 and opened to the public as a museum in 1956. Located along the Rims at 1950 Airport Terminal Circle, across from the Billings Logan International Airport, the cabin serves as the entrance into the expanded museum. The museum offers visitors an astonishing array of cultural artifacts and one-of-a-kind memorabilia from authentic Native American objects to keepsakes of the earliest pioneers through the mid-20th century. 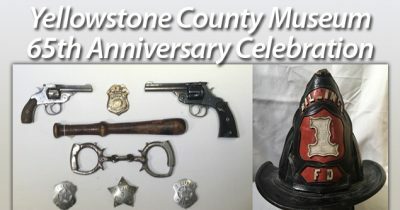 The anniversary celebrates an exhibit dedicated to the early Emergency Services of Yellowstone County. Other current exhibits include a tribute to the Billings Baseball Preservation Society, the involvement of our brave Yellowstone County soldiers in WWI, historically significant firearms of the region, and “Waiting for the Earth to Move” – the nation’s largest public display of Ghost Dance regalia. Click HERE to visit our Event Listing, and add it to your calendar!